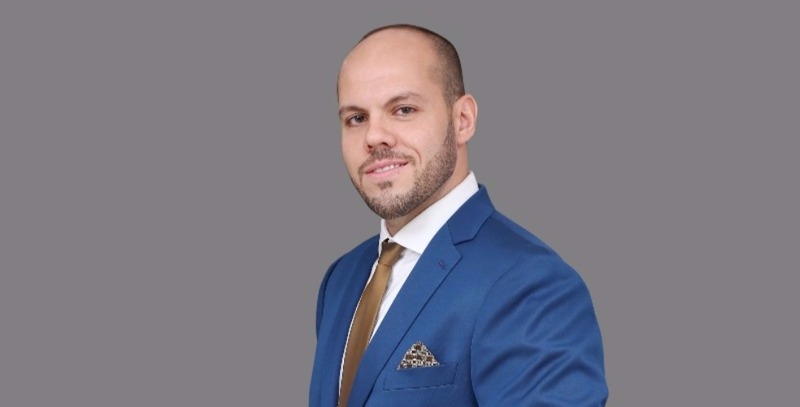 Jamal Al Mawed, Head of Public Relations and Communications for Rolls-Royce Motor Cars in the Middle East, Africa, and South America is one of the keynote speakers at the Marketing Kingdom Cairo 3, Egypt’s most innovative marketing event in 2017, scheduled to take place from 15-16 October at Dusit Thani LakeView Hotel in Cairo. For years marketers have been in agreement that location-based targeting is an important part of the mix, but no one has really known what to do with it – FourSquare was the big hope but it slowly petered out as it doesn’t naturally fit into a consumer’s day-to-day life. This might be the year that location-based marketing’s potential is realized. Already we have seen consolidation and acquisitions among some of the big location-intelligence companies which means plans are afoot. All of the big social media apps now have Geotagging, while the story-based features like Snapchat Stories and Instagram Stories have different variations of location-based stickers and Geofilters. Augmented Reality is integrating even better with mapping technology, coupled with increased smartphone penetration (which allows you to be tracked), a trend embodied by Pokemon Go and Snapchat’s new Snap Map. The first benefit is that there are now more ways to reach people with messages in an environment where the call-to-action can be immediately followed by the action, and secondly where the messages can be more naturally and subtly integrated into a person’s day-to-day life. It amazes me that so much money is still spent on traditional market research and focus groups when modern science can offer so much insight to marketers. For example, ‘Beautiful Destinations’ is the world’s biggest travel page on Instagram, with 10 million followers. Its founder, Jeremy Jauncey, uses the scientific field of visual analytics to ensure that what they are posting is stimulating the brain visually. Brands are investing more money into research that uses Functional Magnetic Resonance Imaging (fMRI) brain scans to get biological and neurological information about what influences purchasing decisions. The US Institute for Color Research has found that colour is responsible for up to 85 percent of the reason why people buy one product over another and can increase brand recognition by 80 percent. Scientists have proven that the olfactory receptors in the nose (sense of smell) can directly trigger the brain’s Hippocampus (responsible for memory) and orbitofrontal cortex (responsible for decision-making) meaning that we can use certain scents to directly influence brand memory and purchasing-decisions. Facts like these have been the basis of success for some of the world’s biggest brands over the years, but the research is being done outside of our region. Why not invest some of your local budget on scientific research to get regional insights into brand consumption behavior? There seems to be a reticence among regional marketers to engage in publicity stunts of any kind, even though we are operating in the noisiest era ever for consumers. Every day they are peppered with countless messages from the real and digital world, so it becomes harder and harder to cut through the noise. Publicity stunts executed properly can have a huge impact on public perception, product recall and social engagement. The Red Bull Felix Baumgartner space jump is probably the most famous of recent times but take a look at the fantastic campaign by Discovery Channel with the greatest ever Olympian Michael Phelps racing against an actual shark. Absolute genius. We work in a region where Twitter has huge local engagement so stunts can become the talk of the town very quickly – get your agencies thinking about how to harness it. Every marketer in the world knows that the present and future of digital consumption centers around video, and this has led to some fantastic content being produced in our region in the past few years. One area where there is a huge lag though is portrait-format video, which may become a necessity in the near future due to the profligacy of mobile, estimated to be responsible for 80% of online video viewing by 2020. The vast majority of video content is produced in landscape format, but research is showing that consumers are becoming less and less willing to turn their phones sideways in order to view videos. Snapchat and Instagram stories have already taught marketers the hard way that their ads have to be portrait, but this trend will soon start to affect view times on Facebook and YouTube too. Brands that have begun experimenting with portrait-format will reap the rewards in terms of average view time. Every day we watch our Instagram feeds and Snapchat stories get more and more confusing as social influencers promote different restaurants, destinations, fashion labels, FMCG’s, hair products, watches, jewelry, cars, mobile phones, dentists, spas, shampoos, face creams, etc. While I accept that for the bloggers/influencers it is difficult to know the dos and don’ts in a maturing industry, it’s slightly alarming to see the actual brands propagate this type of behavior through lazy targeting. It’s the same old argument that we have had with TV, print, online, digital and now social: Reach versus Relevance. Brands are still unwilling to invest in micro-influencers who are at least specializing in their field, because they need to show ‘big numbers’. The influencers themselves need to have the resilience to turn down brand money unless it is relevant to their area of specialization, but marketers need to invest their time and money in the people that are reaching a relevant audience for them. This is the only way the industry will segment properly and mature.